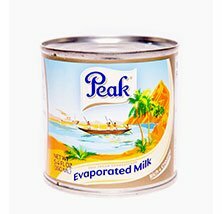 Peak Evaporated Milk, Can, 5.4oz (170g) (Pack of 48) | Golden Tropics, Ltd.
2 Add desired items to shopping cart and submit your order. 3 One of our service representatives will contact you within 24 hours via phone or email to coordinate shipping and payment options. If you have any questions or require immediate assistance, please contact one of our service representatives during normal business hours by phone: 973-484-0202, or by email: info@goldentropics.com. Thank you! View cart “Peak Unsweetened Evaporated Milk, Can, 13oz (386ml) (Pack of 48)” has been added to your cart. Peak Concentrate Evaporated Milk is sold in a pack of 96 individual cans. The weight of each can is 6oz (170g). Sold in a pack with 96 cans. 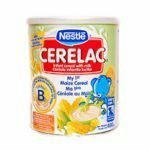 NESTLÉ CERELAC infant maize cereal is sold in a pack with 12 individual cans. The weight of each can is 14.2oz (400g). 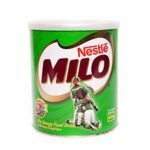 NESTLÉ MILO chocolate malt energy drink is sold in a pack with 12 individual cans. The weight of each can is 14.2oz (400g). 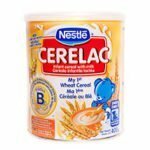 NESTLÉ CERELAC, infant wheat cereal is sold in a pack with 12 individual cans. The weight of each can is 14.2oz (400g). By subscribing to our mailing list, you will be the first to hear of news, company updates, and product sales. We promise not to spam you and to keep your information confidential. ©2018 All Rights Reserved. Golden Tropics, Ltd.. Web Design by Splurge Media, LLC.